The biggest problem with performance reviews, according to both managers and employees, is that they take too much time. That’s why we created this master list of free performance review templates. 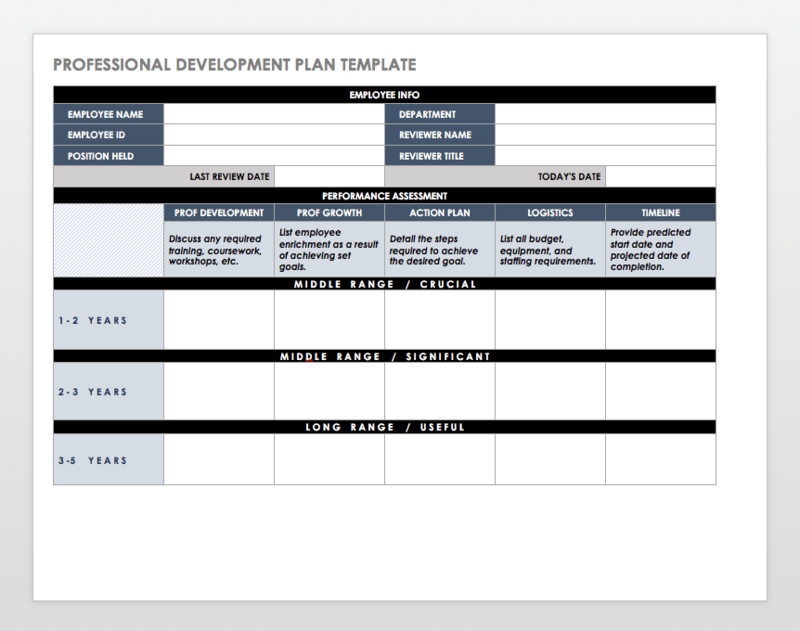 Save time by choosing the template that’s best for your team. Every organization has a different time of year that they do employee reviews, so we’ve sorted by annual, biannual (every six months), or quarterly. 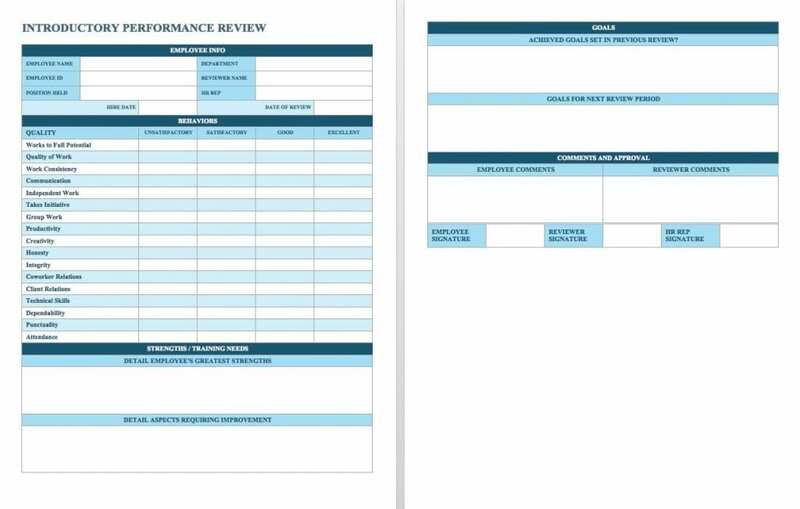 If you’re just looking for a general performance review template, check out the section for reviews at any time of year. 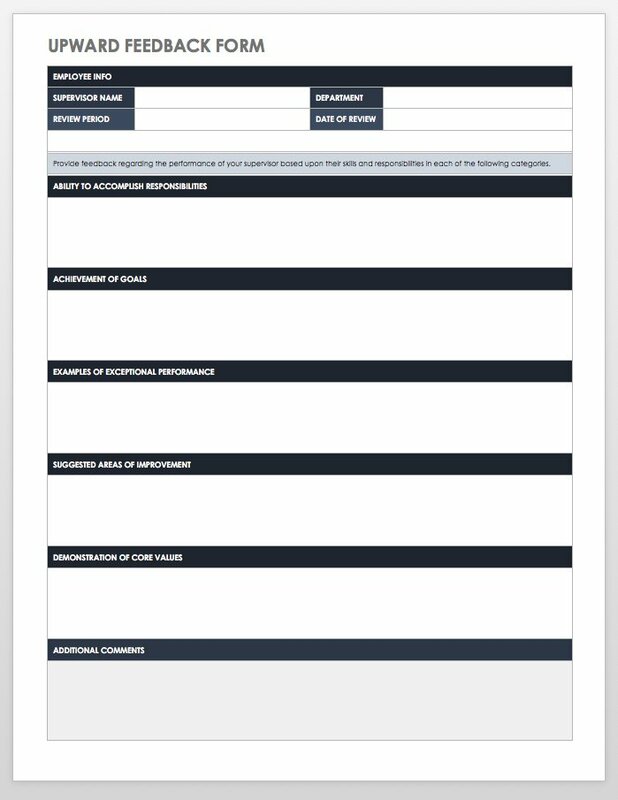 This annual review template is #3 on our list. The next four documents (#6 – 9) are designed to be used as a set, with nearly identical questions and formatting. Developed by Emory University, they include detailed examples and definitions of expected behavior, including problem solving, building trust, and collaboration. 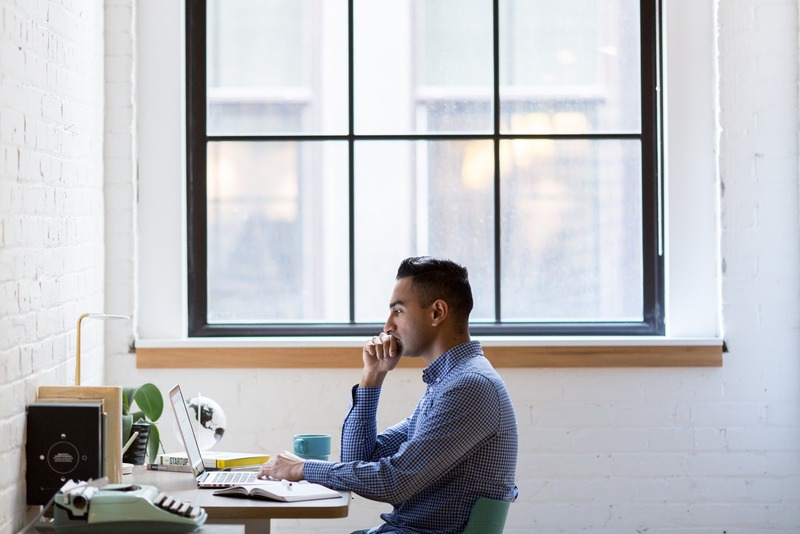 Each link will take you to the same page, so be sure to select the document title that fits your needs (manager vs. non-manager, self evaluation vs. standard evaluation). This colorful 6-month review is #13 on the list. The next five documents (#15 – 19) are designed to be used as a set, with the same questions and formatting. They include detailed examples and definitions of expected behavior, including problem solving, building trust, and collaboration. Each link will take you to the same page, so be sure to select the document title that fits your needs (manager vs. non-manager, self evaluation vs. standard evaluation). Use this two-page form (#21 on the list) to measure progress each quarter. The next five documents (#44 – 48) are all variants of each other—the real difference is layout and the specific employee characteristics that the manager grades. Look through each one to see what you prefer. Each link takes you to the same page, and the documents don’t have descriptive titles. So if you don’t want to look through all the files, see the descriptions below. This easy-to-use template is #46 on our list. The next five documents (#49 – 53) are geared toward manual workers. They include detailed frameworks for measuring job performance against specific job objectives. Each link takes you to the same page, so be sure to select the title you want. Use this development plan (#68) to support your team’s dreams. 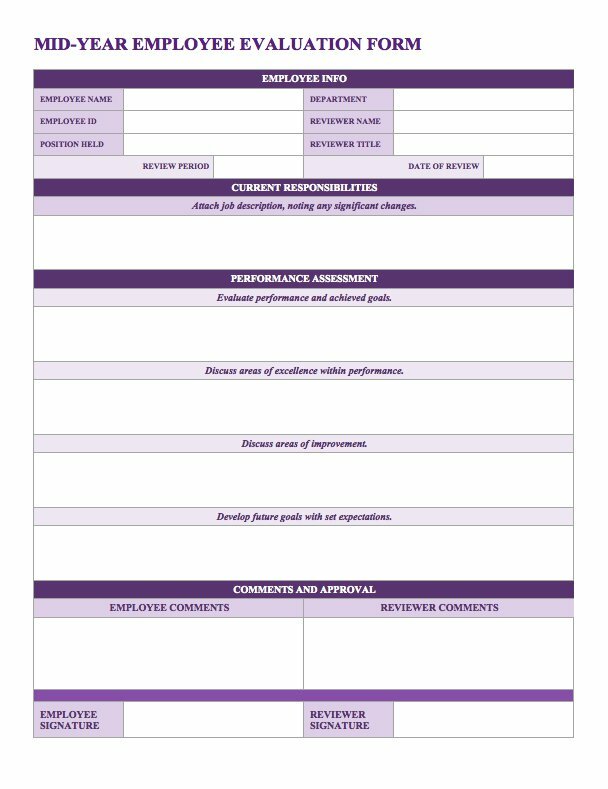 These forms aren’t performance review templates, but they can help you keep track of important metrics throughout the year, or be used alongside a performance review to support your team members’ growth. 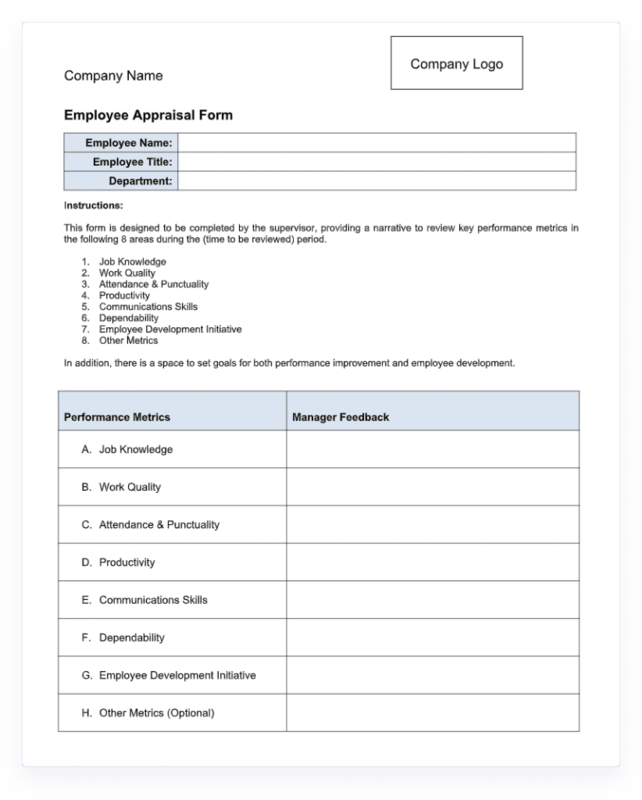 The next four documents (#68 – 71) are designed to be used alongside the performance review templates listed in #6 – 9 and #4 – 18. They can also be used as standalone resources. Developed by Emory University, they include detailed examples and definitions of expected behavior. Each link will take you to the same page, so be sure to select the document title that fits your needs.